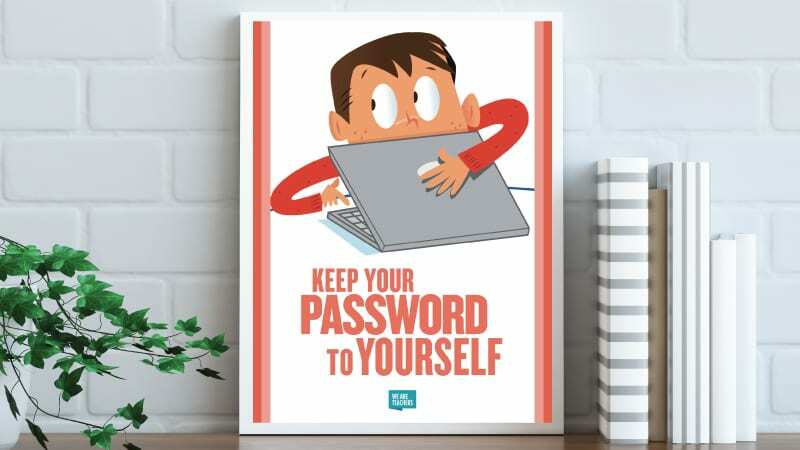 Keep your password to yourself! So much is going on in the busy one-to-one classroom. Keyboards are clicking, mice are wiggling, the Internet is buzzing. How do you keep it under control? A little visual reinforcement doesn’t hurt to keep your students on track! 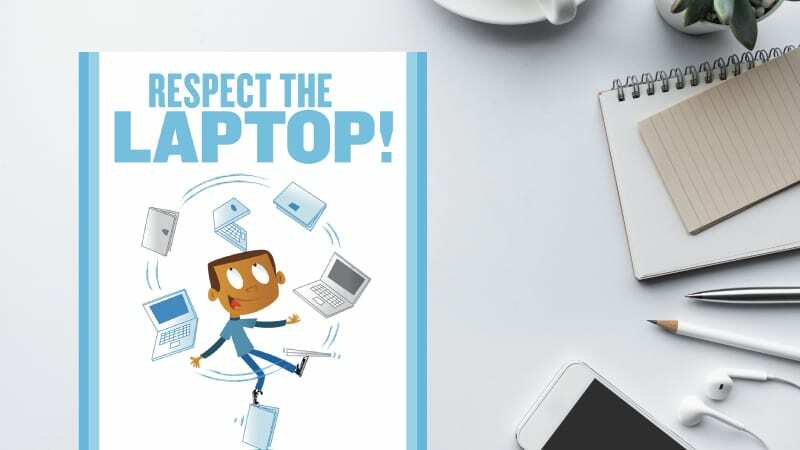 Just submit your email to get our free classroom tech rules posters. Each poster illustrates an important classroom rule for the one-to-one classroom. 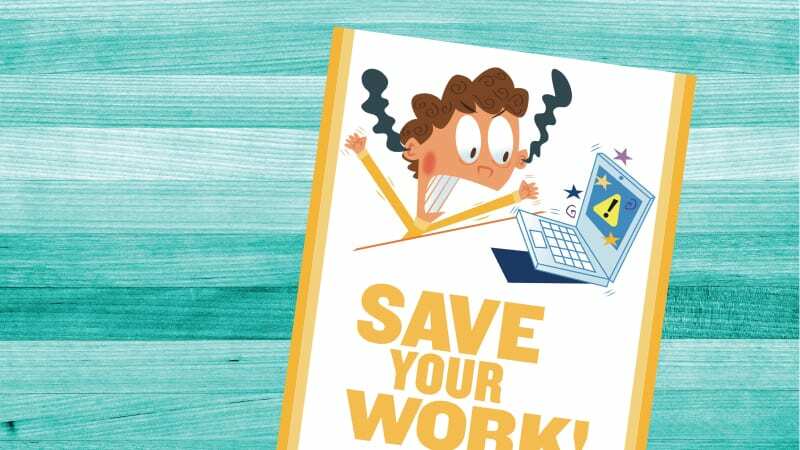 The save button is your best friend. 2. 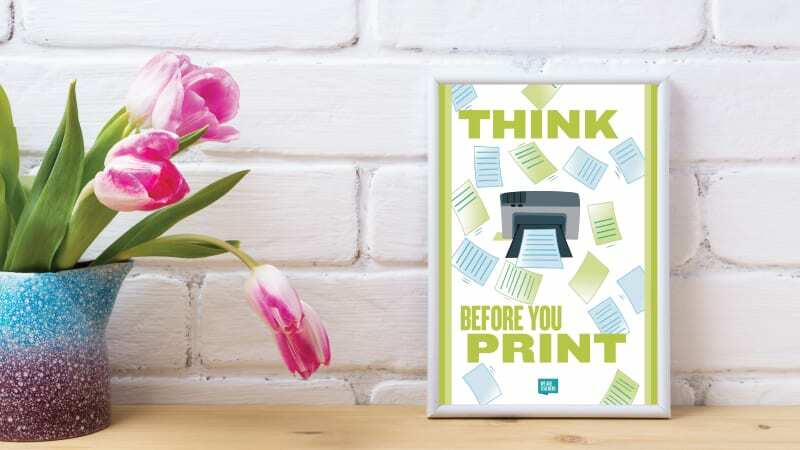 Think before you print. 3. Keep your password to yourself. 4. 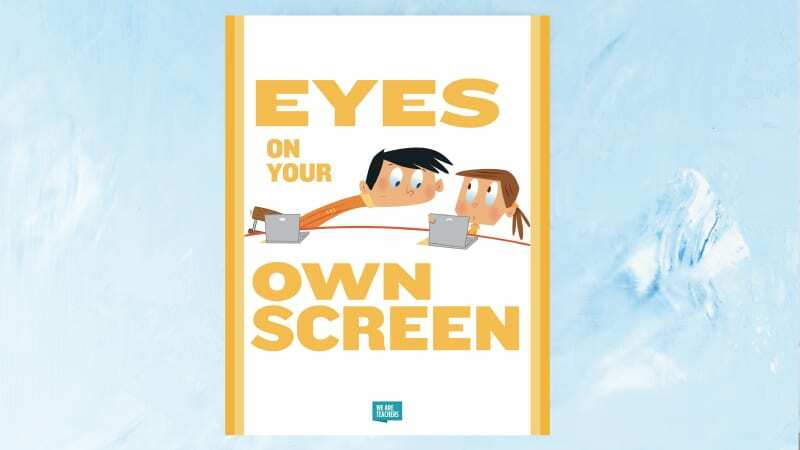 Eyes on your own screen. 5. 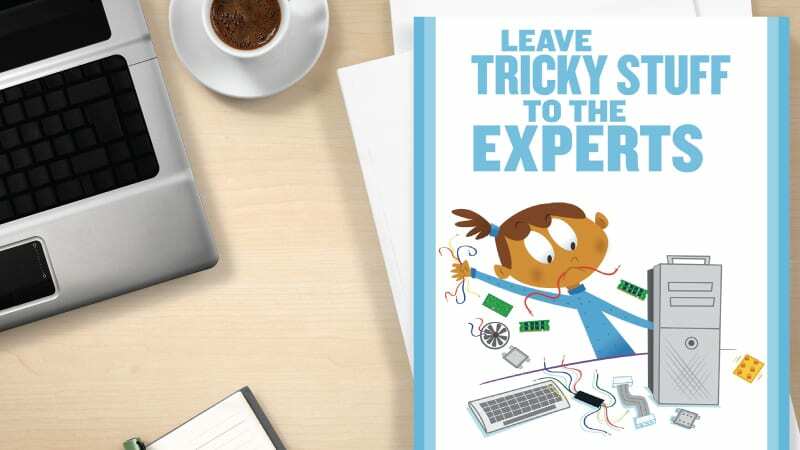 Leave tricky stuff to the experts. 6. 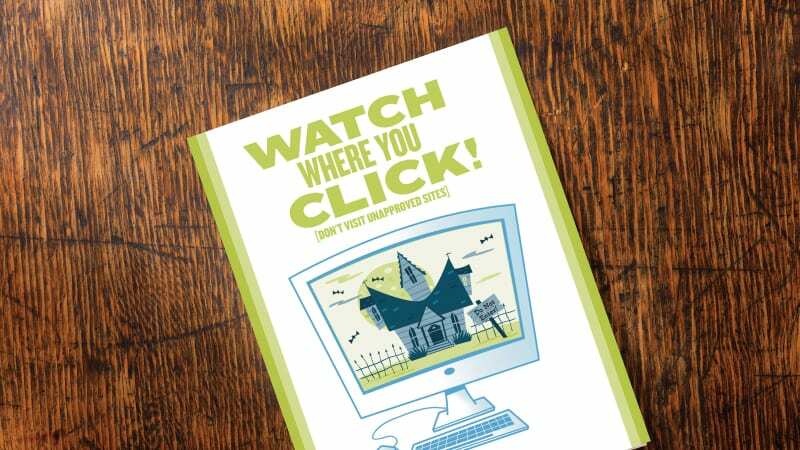 Watch where you click. It’s a scary Internet out there. 7. 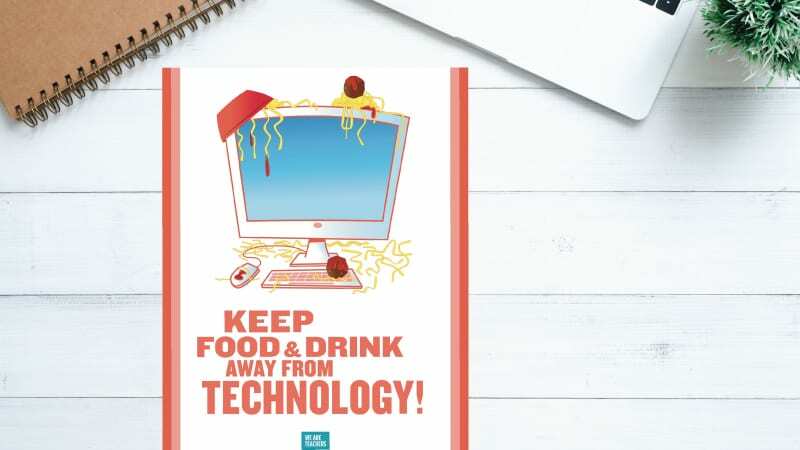 Keep food and drink away from technology. Spaghetti doesn’t belong on keyboards. 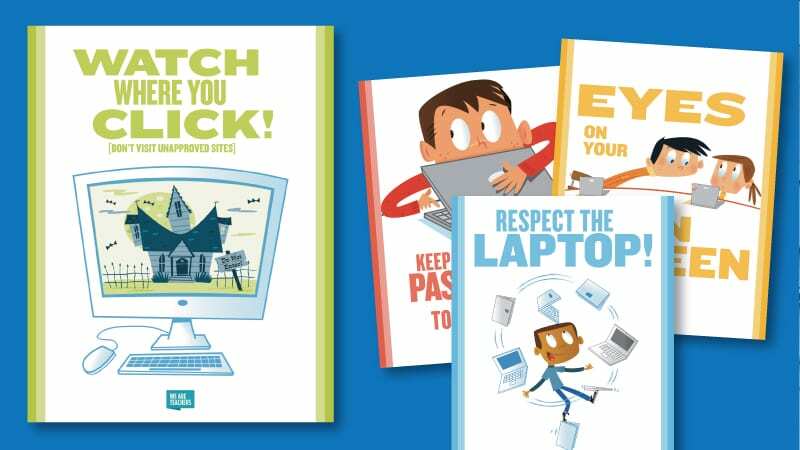 Get My Classroom Tech Rules Posters! I can not click on submitting my email to receive these. Hi, this should be working now. Let us know if you are still having trouble.